It makes sense: the article’s super long, and folks can’t “like” the article without reading it first. Likes are easier to garner for statuses people can instantly support. In any case, it’s been a nice last couple of days professionally (minus the horrible news of the Zimmerman trial). I want to thank you, my loyal readers, for being there for me. Many of you have helped me along the way, and are helping me get the word out about this article (hint hint: share, comment, and like away!). Your interest in my work means a lot to me. 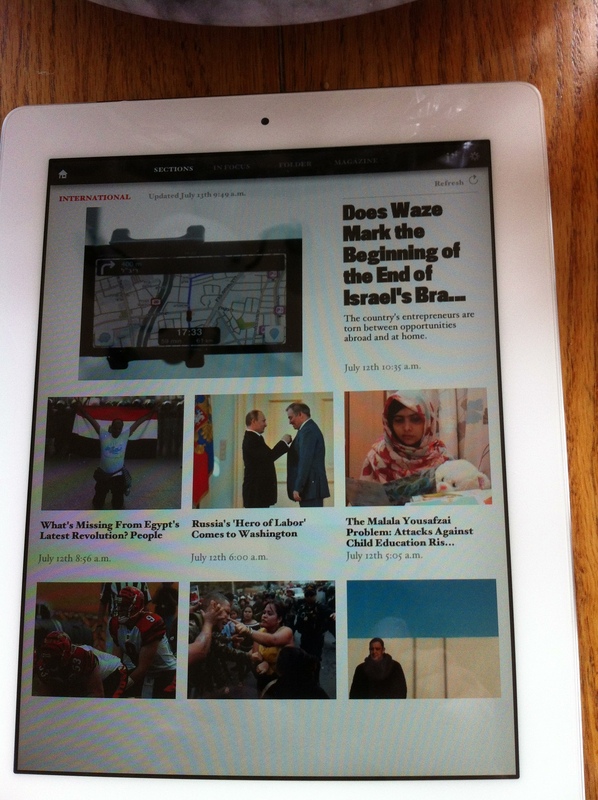 View from iPad of Atlantic’s global section, 7/13/13. My article’s at the top!